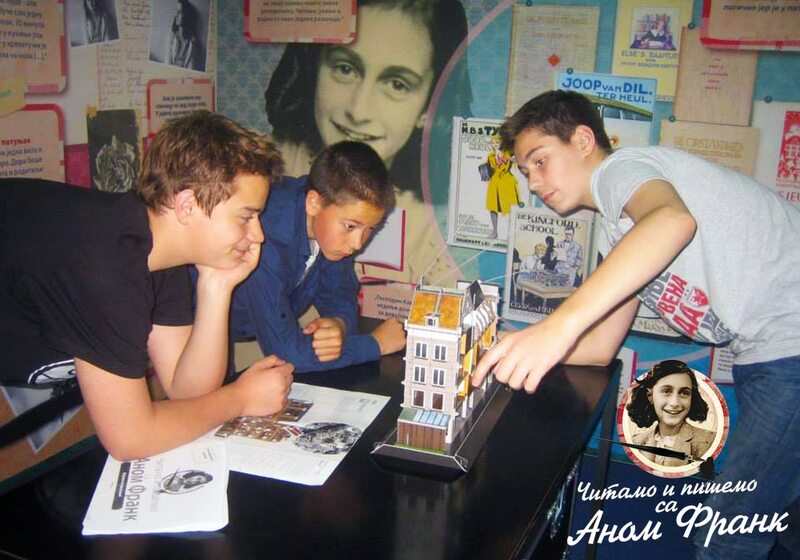 “Reading and Writing with Anne Frank” is an exhibition and a workshop concept created by the Anne Frank House experts. 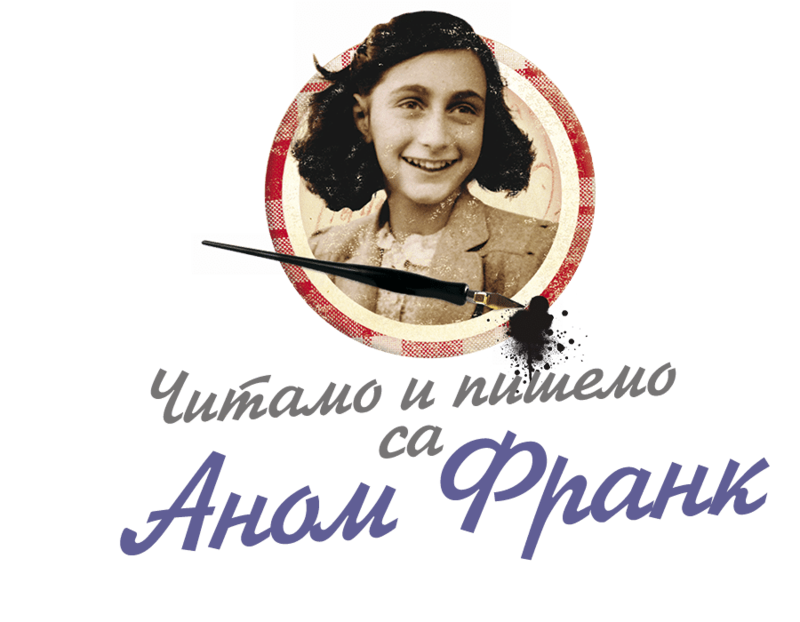 It is translated and adapted for use in Serbia by Terraforming. 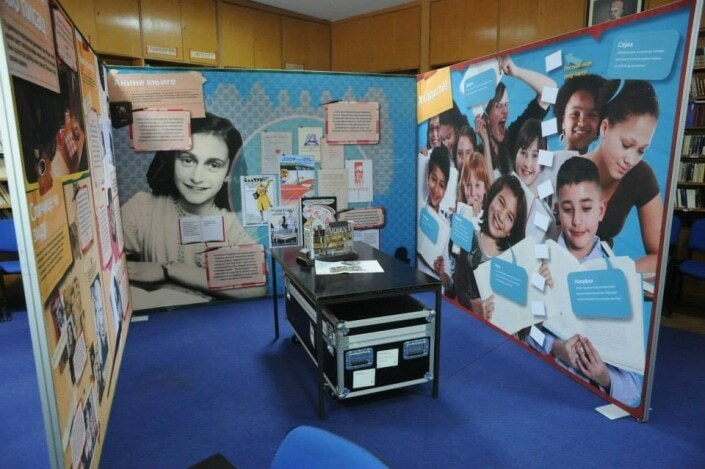 The goal of the exhibition is to present Anne Frank, a teenage girl who in difficult moments managed to express herself through writing, to students of primary and secondary schools. While motivating students to read and write more, the exhibition and the included workshop introduces first steps in learning about the Holocaust. 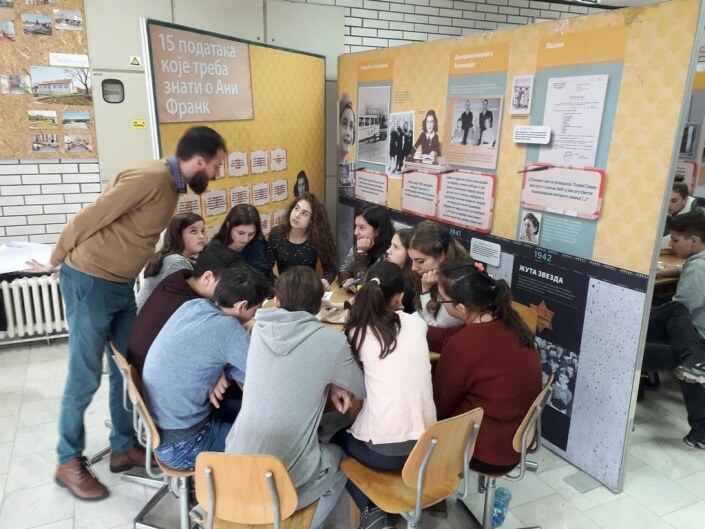 In the same time, the exhibition and its educational methodology serves to present Serbian teachers and librarians with the basic concepts of the Holocaust education. 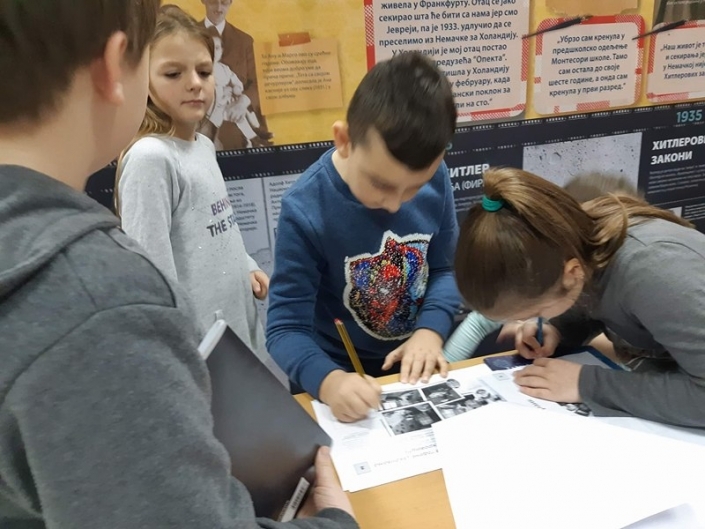 The exhibition was one of the principal factors that helped Terraforming in creating a new sustainable network of multipliers in the field of teaching and learning about the Holocaust in schools and libraries around Serbia. 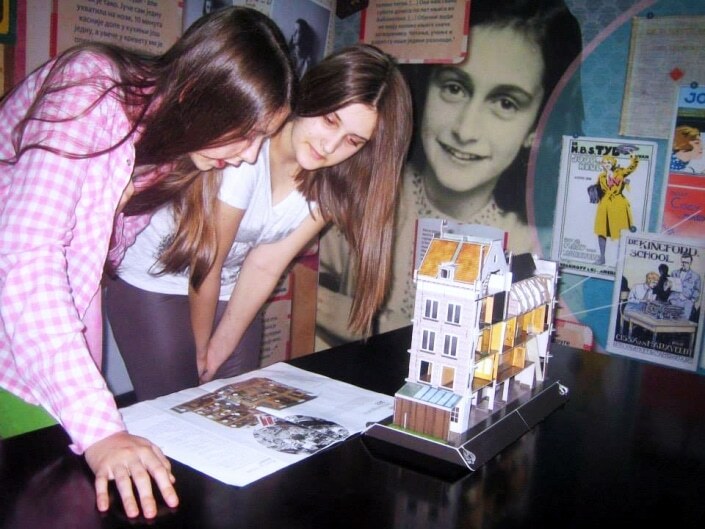 Reading and Writing with Anne Frank is an exhibition created by the Anne Frank House in Amsterdam. 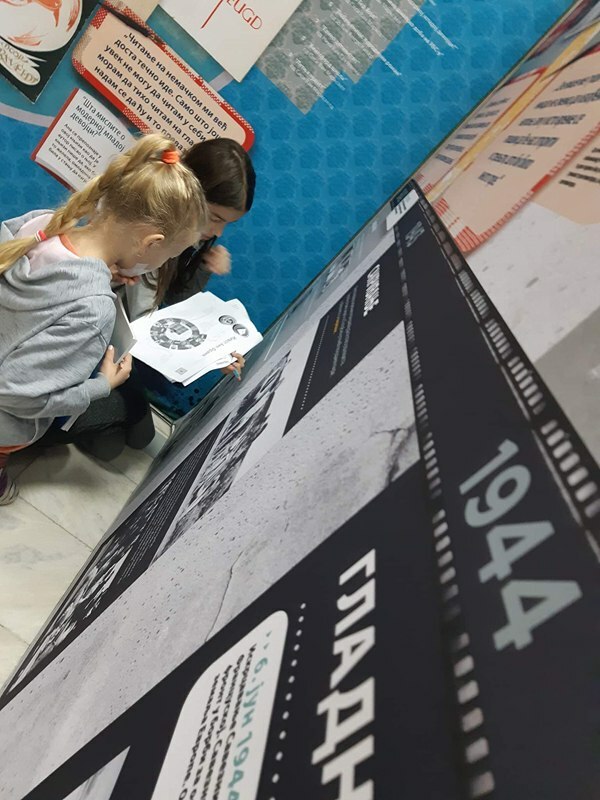 It is a travelling exhibition for children ages 9 to 15 with lesson material, instructions and teacher manuals which can be downloaded. 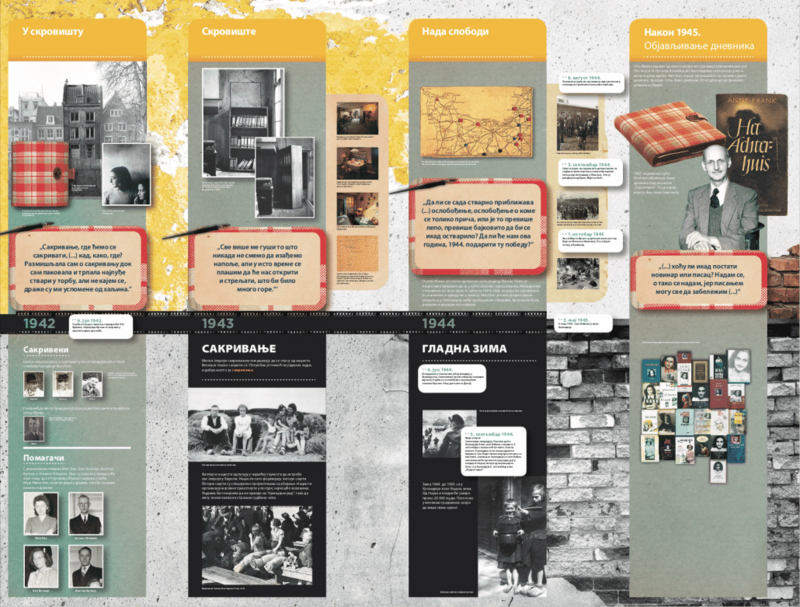 The exhibition is specially designed for young people and provides an overview of the personal life of the Frank family. 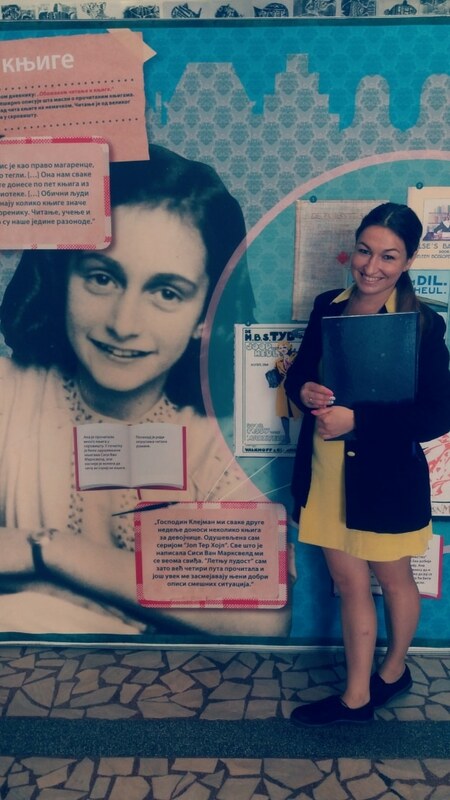 In addition the exhibition zooms in on Anne’s love for reading and her writing talent. 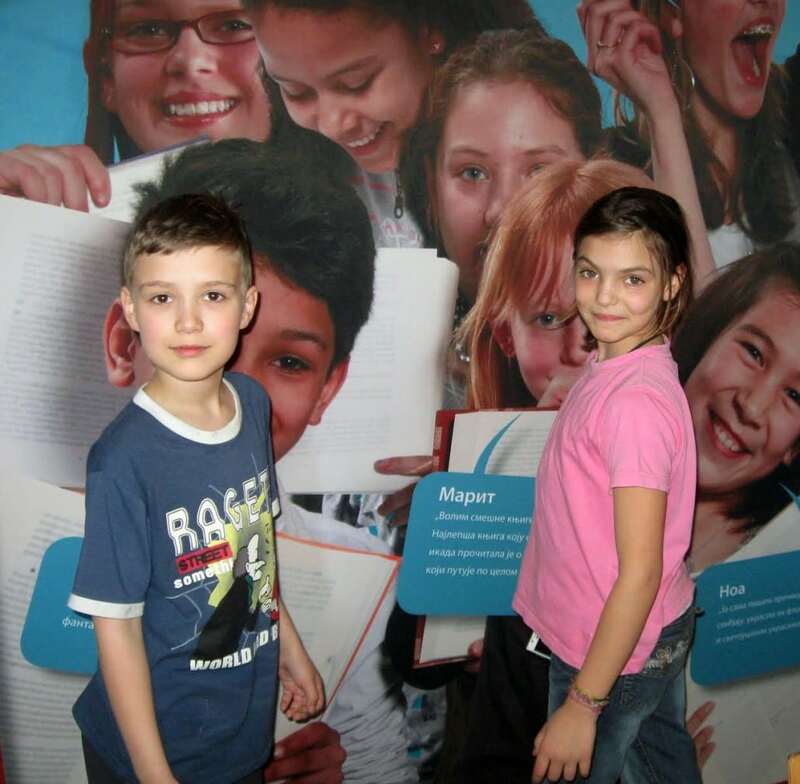 Since January 2015 Terraforming is successfully managing exhibition booking and logistics. The exhibition is easily booked via online form on this website (on the page in Serbian language). 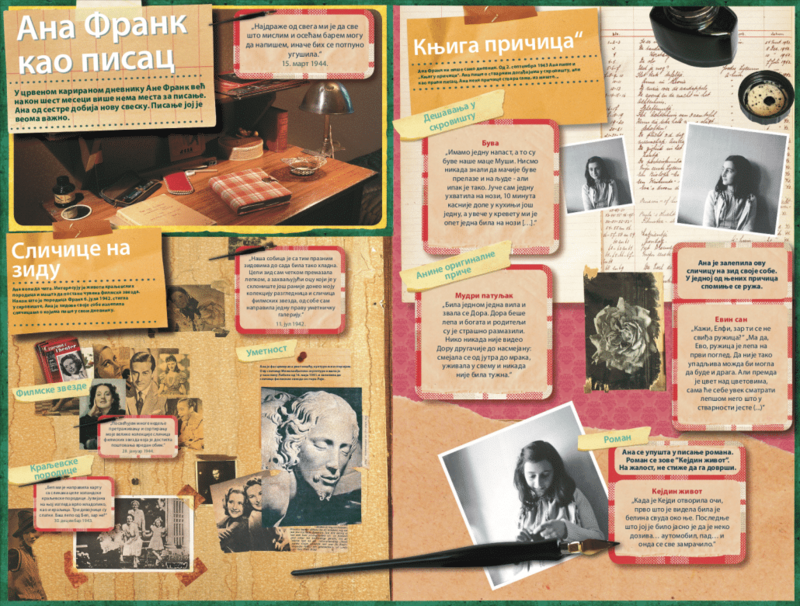 Also, all teaching materials and manuals are available for free download on the same page. In addition, Terraforming is organising trainings for teachers and librarians. 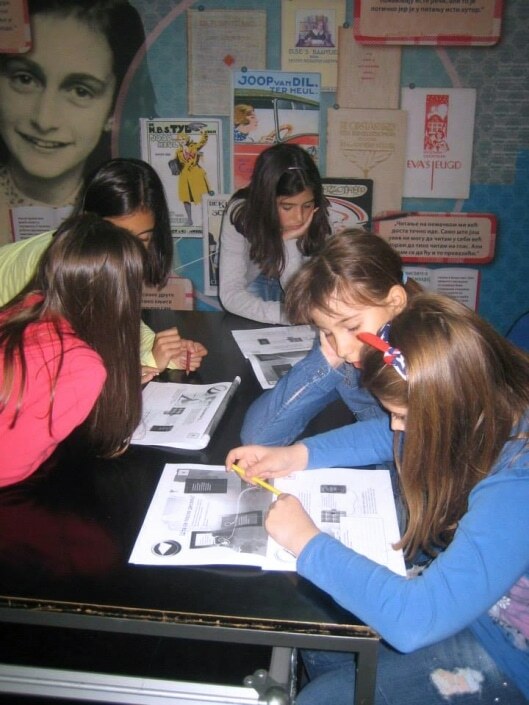 We strive to present the exhibition to as many students as possible, also to those with less opportunities. For that reason we gladly accept bookings from small rural schools with just a couple of dozens of pupils, as well as from large cities. 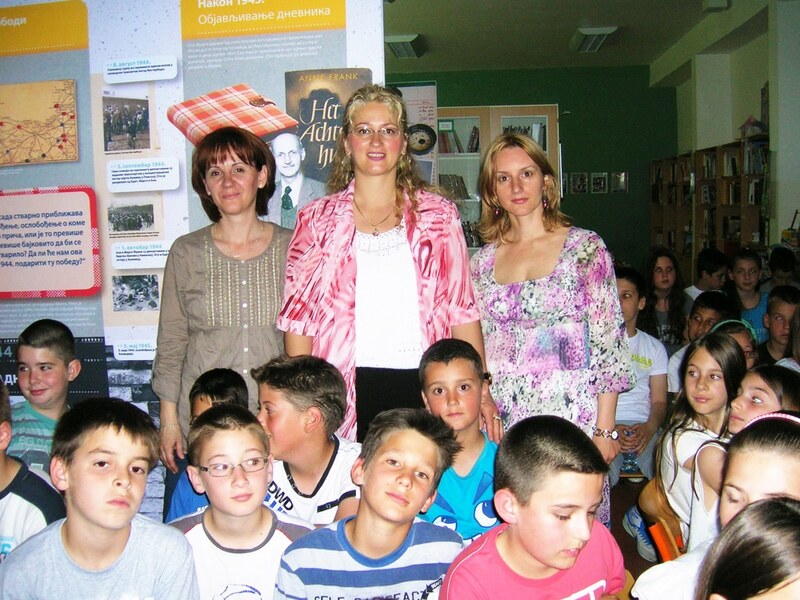 Sandra Svetlica is Terraforming assistant manager in charge of “Reading and Writing with Anne Frank” in Serbia. 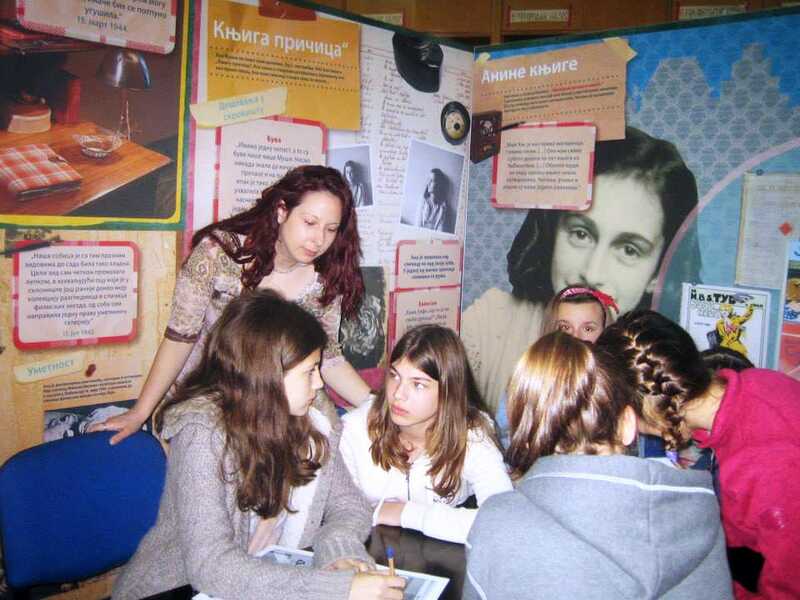 The exhibition is introduced in Serbia within Memorial Days Lesson Plans project (“Dani Sećanja”) in 2014 with aim to strengthen and expand the network of schools and libraries across Serbia engaged in teaching and learning about the Holocaust, and in order to provide the teachers and librarians in Serbia with an opportunity to acquire a better understanding and insight into the methodology, goals, importance and relevance of the Holocaust education through a practical work with students. The idea for the Memorial Days Lesson Plans project was developed by Terraforming, in partnership with the National Library of Serbia and the Anne Frank House, and supported by the International Holocaust Remembrance Alliance IHRA. Terraforming’s experts Misko Stanisic and Nevena Bajalica translated and adapted the exhibition and its educational materials for use in schools and libraries in Serbia. 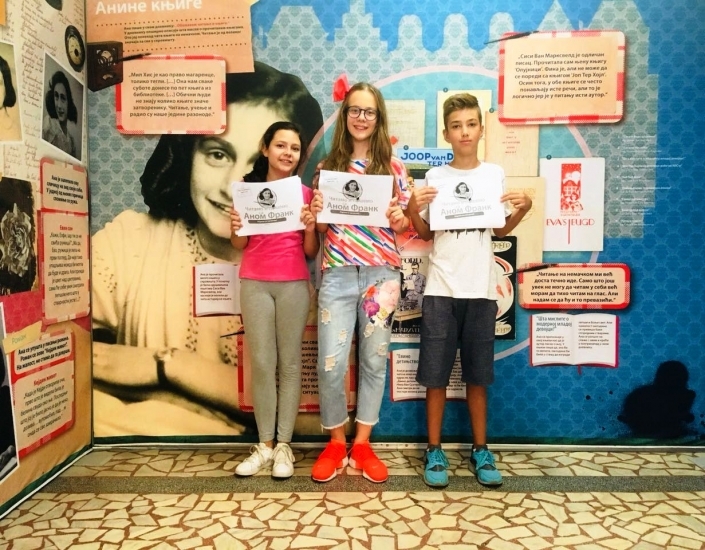 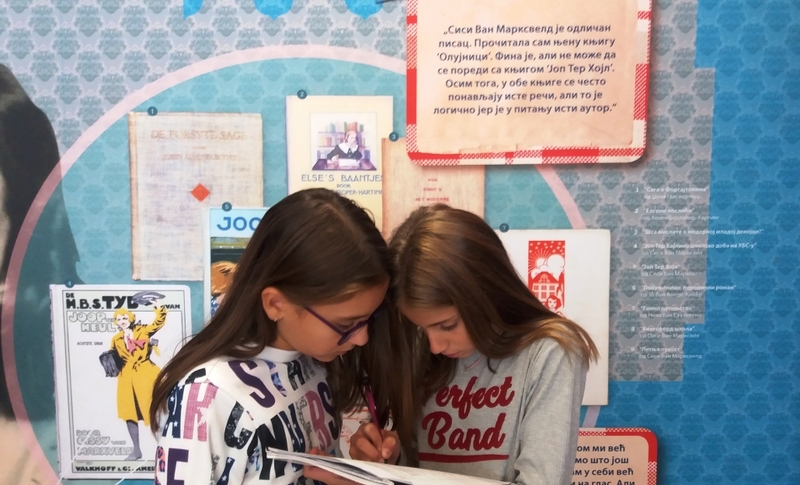 Since January 2015 Reading and Writing with Anne Frank has been constantly on tour, visiting more than 40 cities and with exhibitions in more than 55 schools and libraries around Serbia and the region. 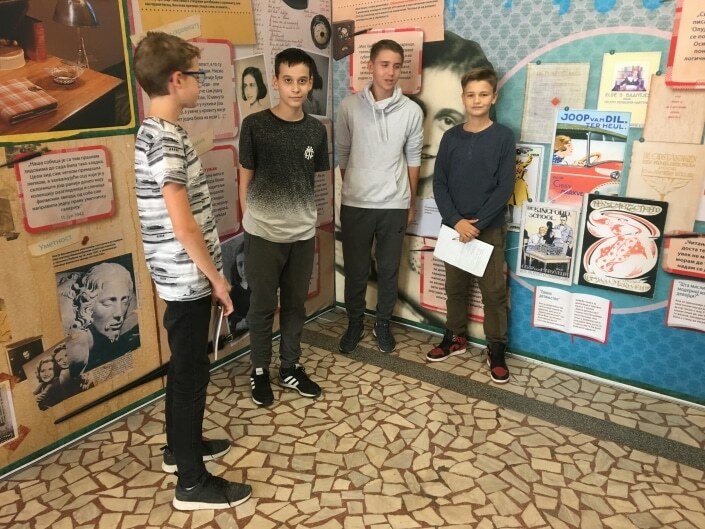 Bojana Andjelic (left), Serbian language and literature teacher at Primary School “Petefi Šandor” in Novi Sad initiated, booked, and hosted the exhibition in her school. 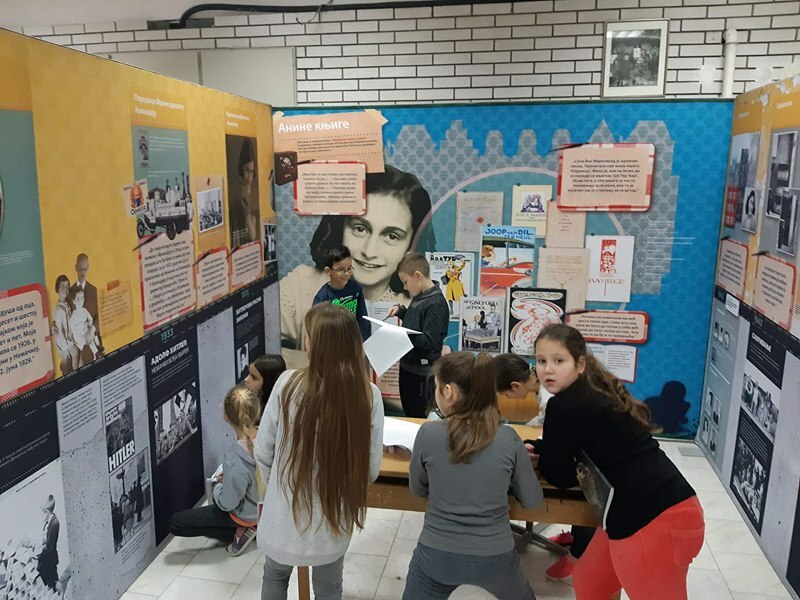 Bojana is one of more then 100 Serbian teachers that used the exhibition and its workshop materials in work with their students. *In addition, many more local schools participated, visited the exhibition and held workshops with their students in the host venues.